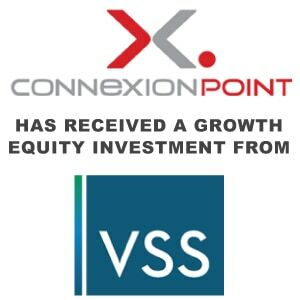 Veronis Suhler Stevenson “VSS” Invests in Connexion Point, LLC - Berkery, Noyes & Co., LLC. NEW YORK–(BUSINESS WIRE)–VSS, a private investment firm focused on the information, tech-enabled business services, healthcare IT, and education industries, announced its investment in Connexion Point, LLC (“Connexion Point”). Connexion Point is a leading provider of technology-enabled healthcare services, specializing in communication lifecycle services for the healthcare industry. The transaction represents the first investment for VSS Structured Capital III and a continuation of VSS’ healthcare strategy as its eighth investment in the industry. Founded in 2010 and based in Salt Lake City, UT, Connexion Point is at the forefront of the evolving healthcare landscape and delivers highly-effective consumer acquisition services, ongoing member retention services, broker support, and general population health management for Medicare Advantage, Medicare Supplement, Medicaid, under 65, and Prescription Drug plans for payers, PBMs and providers. Through its proprietary technology platform, the company delivers a unique blend of software, cloud solutions, data and analytics to its clients, which include some of the largest health plans in the country, notably Aetna, Anthem, Johns Hopkins, CareSource, and The Hartford. “We are excited to become part of the VSS portfolio. Their partnership will enable us to expand our client base, accelerate the growth of our software as a service and analytics solutions and further invest in our XE platform,” said Robert McMichael, CEO of Connexion Point. VSS has extensive experience in the healthcare sector, including the following current and prior investments: Trover Solutions, an outsourced technology-enabled cost containment solution for the U.S. insurance industry; Strata Decision Technology, a developer of financial analytics and decision support software for the hospital market; Avatar International, a provider of quality improvement services; Executive Health Resources, a supplier of medical necessity compliance tools for hospitals; and Solucient, a comparative analytics tool that optimizes performance for hospitals and health systems. 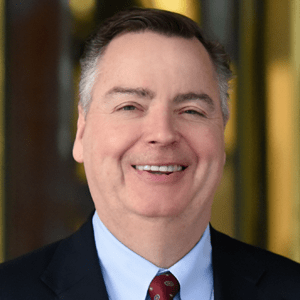 Berkery Noyes acted as exclusive financial advisor and Ogden Murphy Wallace served as legal advisor to Connexion Point, while Proskauer Rose acted as legal advisor to VSS. VSS (www.vss.com) is a leading private investment firm that invests in the information, tech-enabled business services, healthcare IT, and education industries in North America and Europe. VSS provides capital for growth financings, recapitalizations, strategic acquisitions and buyouts to lower middle market companies and management teams with the goal of building companies organically as well as through a focused add-on acquisition program. VSS makes privately-negotiated investments across the capital structure and has the ability to invest in situations requiring control or non-control equity, mezzanine securities and structured equity securities. Connexion Point (www.connexionpoint.com) is a leading provider of technology-enabled healthcare services, specializing in communication lifecycle services for the healthcare industry. Connexion Point facilitates communication, throughout the lifecycle of the consumer, that connects the healthcare industry to their consumer, and consumer to their healthcare. Combining a disruptive technology platform, industry leading data science, true web-scale technology, and human capital resources, Connexion Point creates outcome based custom solutions, built on replicable and scalable components that deliver unmatched results. Its clients include some of the largest health insurance companies in the nation. Headquartered in Salt Lake City, UT with seven regional offices in Florida, Texas, Tennessee, and Utah, the Company has 700 full-time employees and approximately 1,500 part-time, seasonal licensed and unlicensed agents. It is ranked on the Inc 500 and Inc 5000 for the past three consecutive years, including ranking as the 86th fastest growing privately held company in the nation, 12th fastest growing in Healthcare, and the fastest growing in Utah.